"Scientists who oversell their results are a big problem for science." Climate skeptics, conspiracy theorists, and the anti-immunization movement are on the rise. At the same time, fraudulent research and issues with the replicability of scientific results prompt the question if science is still a reliable source for political decision-making. In your opinion: Where is science going wrong? The divide between science and society is not necessarily the fault of society and a few crazy individuals. When it comes to evidence-based policy advice, there is an apparent problem: Scientists often claim to have the truth even though they don’t know the “truth”. Overselling results is a problem. The philosopher Karl Popper showed that every scientific insight is only provisional and must be questioned. But in academia, there is an increasing pressure to publish seemingly groundbreaking results. However, these results often cannot be replicated or worse – sometimes they are simply forged. In addition, there is also the problem that quite often researchers and press offices overdo outreach on results, for example. Results that are per se correct are overinterpreted or oversimplified. In my view, this is quite often the case in economics. Even worse: Scientists use their results to communicate their personal opinions, for example when it comes to climate protection. Some scientists also exaggerate because they want to earn public prestige and sometimes money – they want to become media celebrities. How can science contribute to informed political decision-making and make politics more responsive to global challenges? I don’t blame the political system; I blame the scientific community. The scientific community has to create a governance system that monitors political consulting and fights the overselling of results. As I said: Popper showed that all scientific insights are only provisional and must be questioned. Researchers need to communicate this better than has usually been the case. And sooner or later erroneous results and misinterpretations will come out. Being much more modest would certainly increase the credibility of science. This should be taught in universities, at the latest on the PhD level: modesty should be taught as an integral part of modern research ethics. This is all the more important because the internet allows researchers to communicate directly, bypassing traditional gatekeepers such as editors, referees and professional journalists. This is an opportunity and a challenge that requires awareness and a lot of self-discipline. In a newspaper interview, you once mentioned that not only mainstream scientists should have impact on politics. What should non-mainstream scientists do to reach their audience? A lot of non-mainstream scientists are already doing a lot to find an audience. Some might even be doing too much in order to get known by a wider audience. So I don’t believe that non-mainstream scientists should be doing more to make their results and opinions more public. The mainstream should do more to incorporate non-mainstream ideas into the regular scientific discourse – and non-mainstream scientists should prove their excellence in mainstream outlets. And you have to see: most ideas of the non-mainstream turn out to be crazy or at least lead to dead ends. However, on the other hand: all really new and pathbreaking ideas come from non-mainstream scientists. So in an optimal science governance system, the scientific community has to find a better balance between the mainstream and non-mainstream than might be the case today. An economist wants to create a Ministry of Hype. Clearly a good idea. Gert G. Wagner is Professor of Economics at the Berlin University of Technology (TUB), Max Planck Fellow at the MPI for Human Development (Berlin), Senior Research Fellow at the German Socio-Economic Panel Study (SOEP) and a member of the “National Academy of Science and Engineering (acatech)”. Wagner is chairman of The Social Advisory Council (Sozialbeirat) and he serves on the German Advisory Council for Consumer Affairs and on the Advisory Board to Statistics Germany. 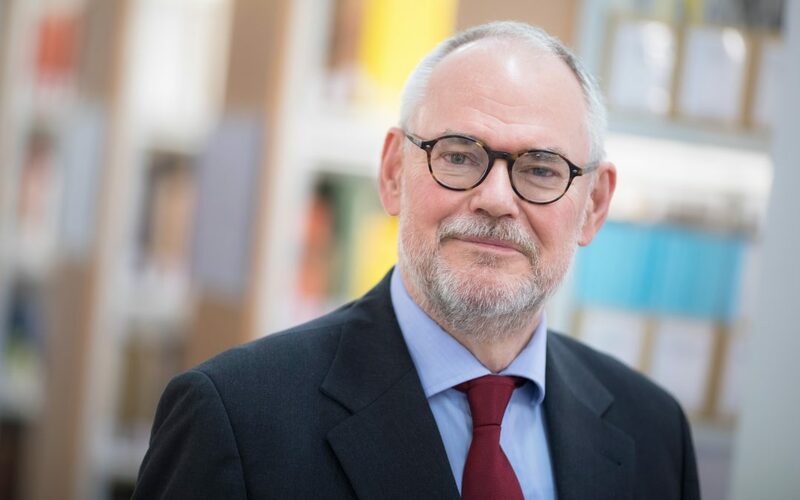 In 2018 Gert G. Wagner received a honoris causa doctorate (Dr. rer. pol. h.c.) from the Faculty of Management, Economics and Social Sciences of the University of Cologne. In 2007 Wagner was awarded the Knight’s Cross of the Order of Merit of the Federal Republic of Germany. Wagner was a member of the German Council of Science and the Humanities, an elected reviewer of the German Research Foundation (DFG), a member of the Methodology and Infrastructure Committees (MIC) of the Economic and Social Research Council (ESRC/UK), a member of the Advisory Board to the British Household Panel Study (BHPS) and to the Swiss Household Panel (SHP). He was also a member of the user selection panel of the European Centre for Analysis in the Social Sciences (ECASS) at University of Essex, a European large-scale facility. He was the first treasurer of the Society for the Study of Economic Inequality (ECINEQ).